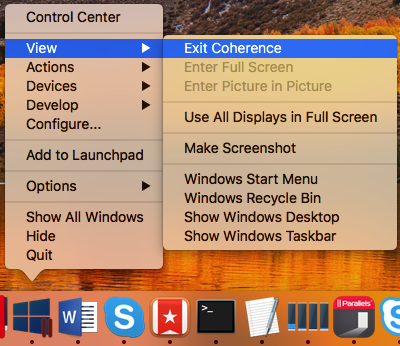 Coherence is a view mode that allows you to run Windows applications on your Mac, as though they were native Mac applications. 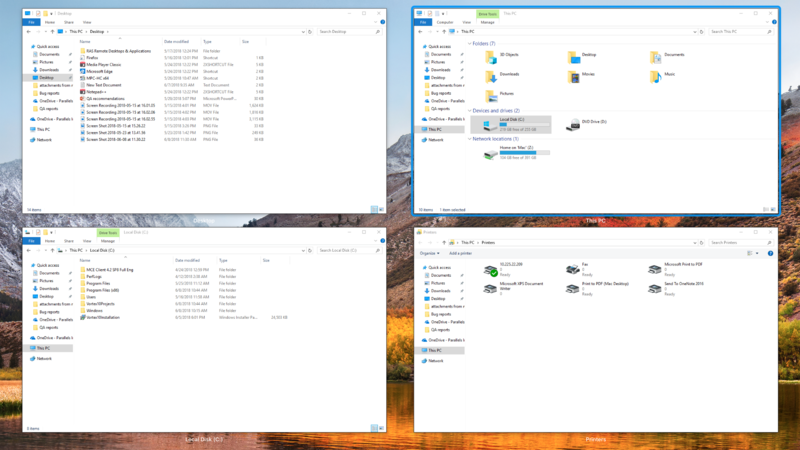 In Coherence mode, you can use both your Windows and Mac applications at the same time without managing two separate desktops or rebooting. 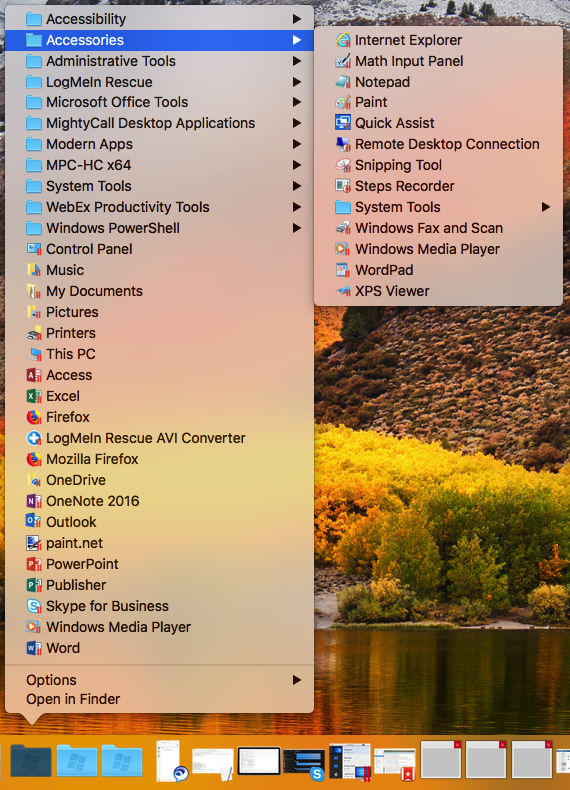 You can even load Windows applications directly from your Mac Dock or Mac desktop. 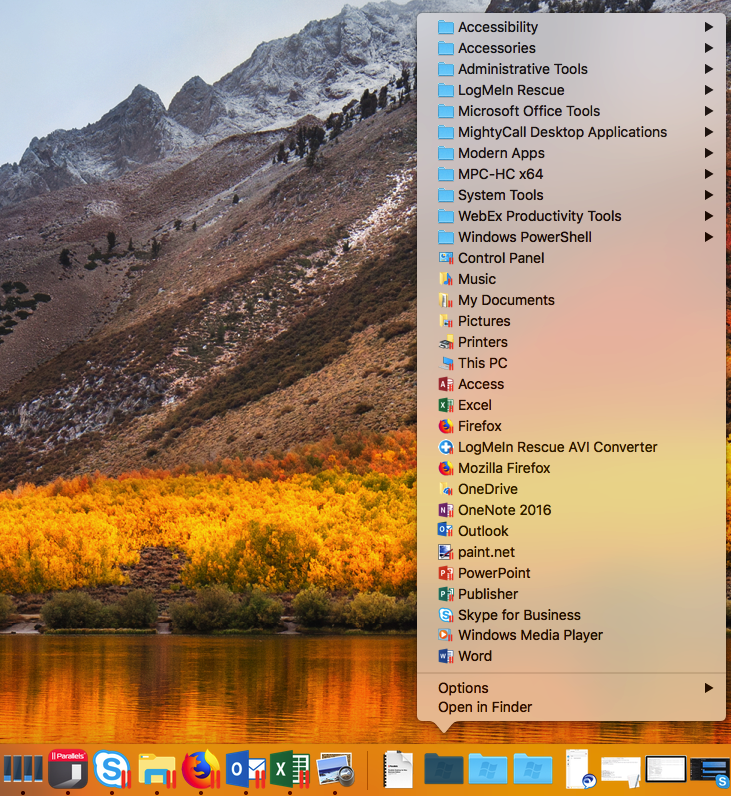 In this mode, all Parallels Desktop controls, icons, and menus are hidden, except for the Parallels icon in the Mac menu bar and the Windows Applications folder in the Dock. 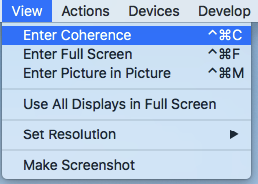 Additionally, due to its nature Coherence mode completely disables Windows screen saver instead, Mac screen saver is being used. 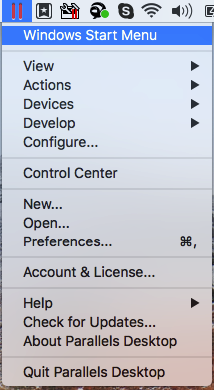 All Windows applications icons are marked with the Parallels symbol to distinguish them from Mac applications. 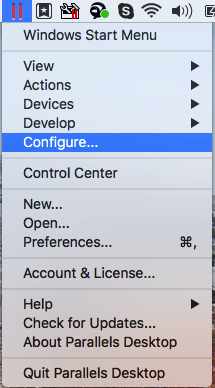 New item menu allows to open a new application window/mail/document, etc. depending on application functionality. 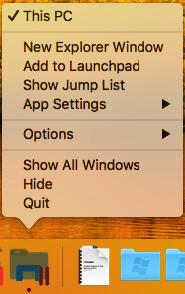 Quit, Hide, Show All Windows, Options, and Add to Launchpad are the same as for native Mac applications. 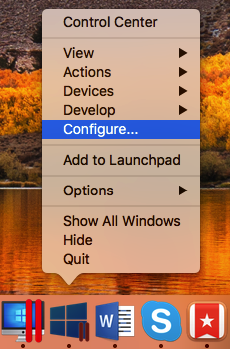 App Settings allows to assign certain actions per-application basis, such as Keep Mac Awake, Always Hide Others, Do Not Disturb, Use in Full Screen. 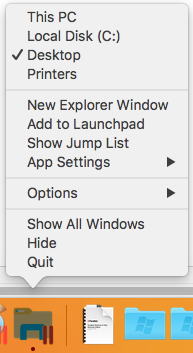 Show Jump List activates the Jump List available for Windows applications' icons in the Windows Task Bar. 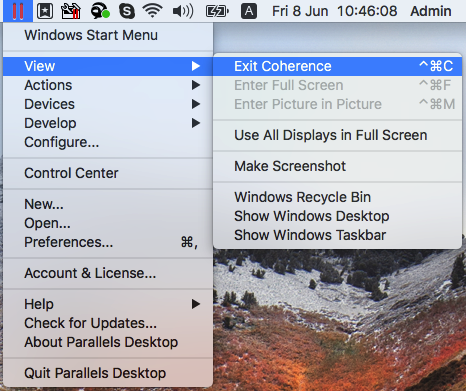 To exit Coherence mode, click on the Parallels tray icon in the Mac status bar and select View then click Exit Coherence. 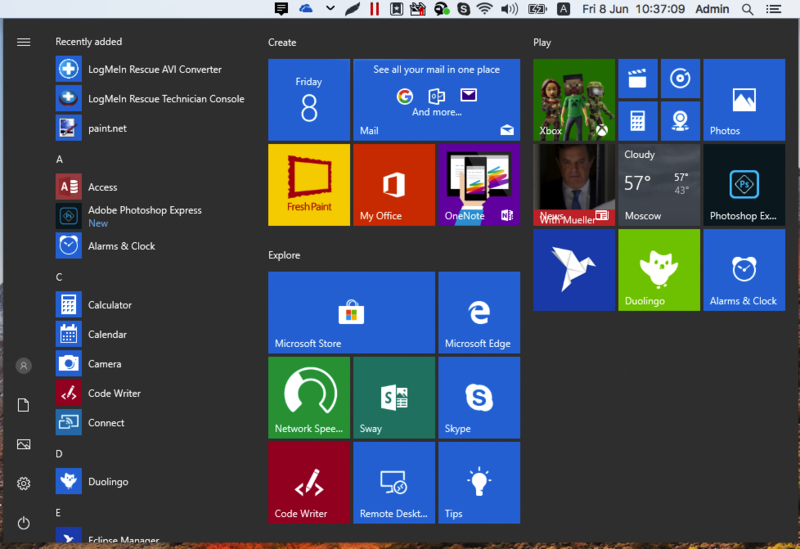 Or right-click on the Windows icon in the Dock and select View then click Exit Coherence. 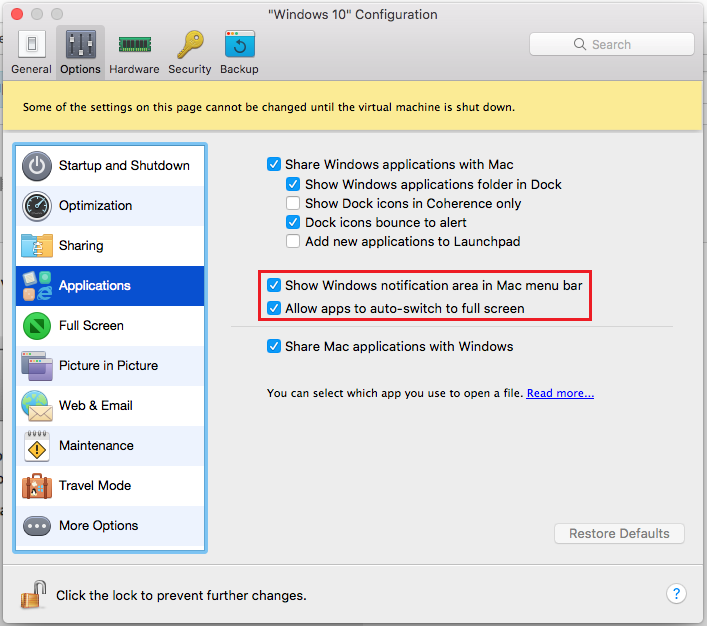 The settings for Coherence mode are available in virtual machine Configuration > Options > Applications. 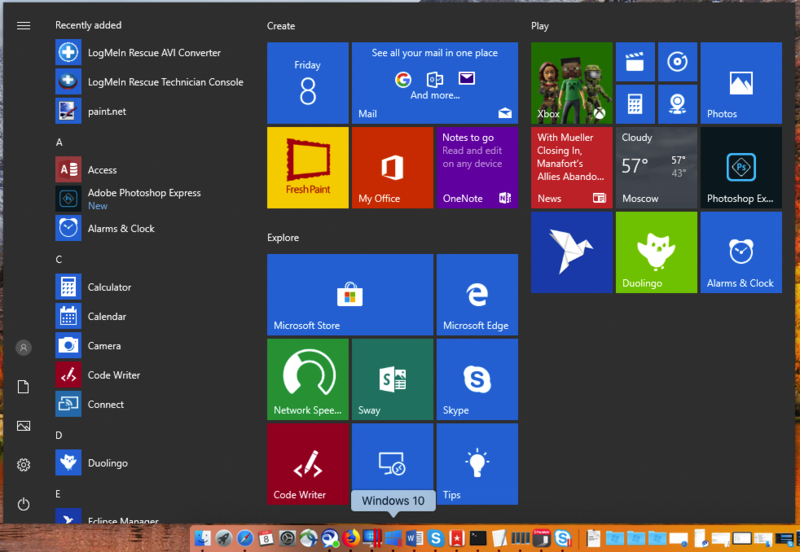 Note: To be able to use Coherence mode, Parallels Tools should be installed in Windows: in Parallels Desktop 10 select Actions from top Parallels Desktop menu bar > Install Parallels Tools, in previous versions click on the Virtual Machine menu > Install Parallels Tools. Coherence - It’s a Kind of Magic!